As well as being Seafood Week, this week is also British Egg Week. 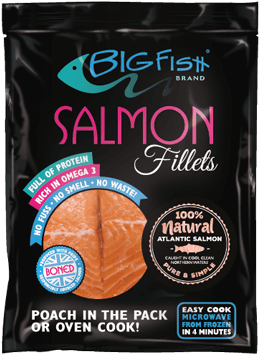 So here at BigFish Brand we’ve been pondering the question… why do eggs and fish go together so well? People across the world seem to agree that fish and eggs are a great combination. In Scandinavia boiled eggs and potatoes are standard when serving all kinds of herring. In Japan, Tamagoyaki is a kind of egg roll, an omelette which is often served with fish. In the Philippines, a Silog is a combination of garlic, fried rice and egg, again also often served with fish – becoming a Fish-Silog! Here in the UK, we even used to include kippers as part of the traditional great British fry-up. And with salmon – the egg combos are endless, from scrambled eggs with smoked salmon to Eggs Benedict Royale or just simply poached eggs with salmon (try our recipe!). Perhaps it’s the combination of two excellently healthy proteins that makes it work. In fact, the amino acids in eggs help the body to metabolise protein so combining protein-rich eggs with protein-rich fish creates a major protein hit. But whatever the science, we know we all love a good egg-fish combo and it makes for one heck of a healthy breakfast! A single egg contains about 7.5g of protein as well as all nine essential amino acids. Egg protein is often referred to as a ‘complete’ protein and is regarded as a benchmark for top quality protein. 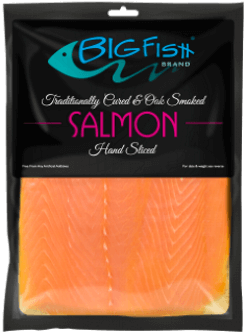 Smoked salmon is also a great source of protein (about 18% of its weight). It also contains B-complex vitamins, vitamin D, magnesium, selenium and of course is a rich source of Omega-3 fatty acids which are linked with many health benefits including a reduced risk of heart disease and stroke, eye health and fighting depression - as well as keeping bones and joints healthy and strong.